If you’re familiar with Google Analytics, then you know it’s a great tool for tracking your online marketing campaigns. However, did you know you can use Google Analytics to track your offline marketing as well? By offline, I mean print, direct mail, TV, and radio advertising. In other words, any marketing you’re doing off of the internet. It sounds a little crazy, but it’s actually possible and in this article I’m going to walk through the 4 steps to get this set up properly. When you’re done, you’ll be able to use Google Analytics reports to measure the performance of your offline marketing campaigns. If you’re not already set up with Google Analytics (GA), then the first step is to install the code on every page of your website. The answer depends on what kind of campaign you’re running. For example, if you’re sending direct mail that offers some free information, then one of the key metrics that determines the success of the campaign is the number of people that request the free information. Or, if you’re running a radio or TV ad that urges prospects to schedule an appointment, then you’ll need to measure the number of people that schedule appointments. Here’s where we get to the most critical piece in this puzzle. In order to track performance in Google Analytics for an offline marketing campaign, at least some of your prospects need to visit your website in order to take the next step in the sales process. So in our examples above, prospects would need to read the print ad and then go to your website to access the free information via a webform. Or, in the other example, prospects would go to your website in order to schedule an appointment. With that in mind, we can complete this 2nd step by creating Google Analytics Destination Goals for these conversion forms on your website. To create a Destination Goal, you’ll simply copy the URL of the webform thank you page (the page you’re redirected to after completing the form). Then paste that URL as the Destination URL of the Destination Goal. Once the Goals are set up, then Google Analytics will start to report on all of the prospects that complete your webforms. 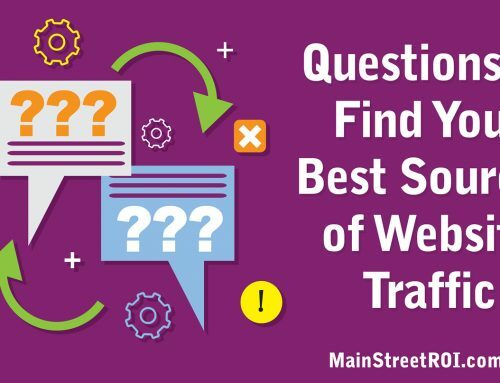 But you may be thinking, how will Google Analytics know when the traffic to your website came from the offline marketing campaigns? Now that you have Google Analytics installed and you’re tracking the key forms on your website, you need to explicitly tell Google Analytics which website traffic came from which offline marketing campaign. 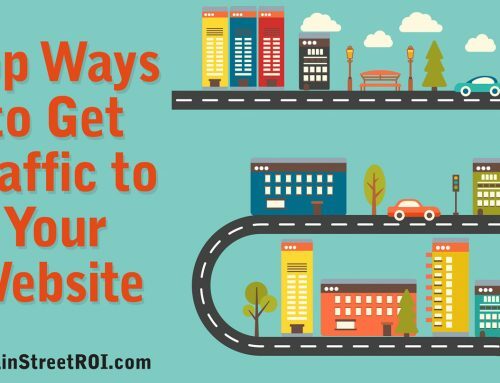 If you skip this step, then all of your traffic from offline marketing will likely be tracked as “Direct” traffic. In other words, from Google Analytics’s perspective this traffic will look like it came directly to the site. First, in your offline campaign, you’ll need a call to action to go to your website (if you don’t already). Now, if your call to action is to call a specific phone number or visit your store, then you don’t have to remove those options. I’m simply recommending adding another option to go to your website, especially since a lot of prospects are going to go check out your site anyway. But you can’t just send them to your homepage. And I don’t recommend sending them to a specific page on your site either because studies show that many people just go to the homepage instead of typing out the entire URL. A vanity URL, or vanity domain in this case, is a new domain that you’ll use in your offline marketing campaign. The vanity domain does not need hosting because you’re not going to build a website on this domain. Instead, you’re simply going to use domain forwarding to forward everyone over to a landing page on your regular website. For example, go to www.mainstreetmarketingtips.com. See how that domain forwards to a page on mainstreetroi.com? That’s how a vanity domain works. Take a closer look at where the example domain above forwards and you’ll see there are tracking parameters at the end that looks like utm_source, utm_medium, and utm_campaign. Those tracking parameters are how we’re going to tell Google Analytics the traffic came from your offline marketing. Click here to see the Campaign URL Builder tool. Complete that form by entering in a Source and Medium that matches the campaign. For example, if you’re running a print ad in Forbes magazine, then the Source could be “Forbes” and the Medium could be “print” or “magazine”. You can use any categorization you want, but make sure you stay consistent so that your reports are easier to read and interpret. Use the Campaign URL Builder tool to add tracking parameters to your campaign landing page. Then copy that URL, including all the tracking parameters, and use that URL as the domain forwarding URL of your vanity domain. This can be set up easily wherever you purchased your domain (ex. GoDaddy). Once you’ve completed this step, then you will have a vanity domain that automatically redirects prospects to your campaign landing page with tracking parameters. Google Analytics will read the tracking parameters and automatically create reports that show how many prospects visited your website from your offline campaign and how many of them completed your webforms. After your campaign has been running for a few days or weeks, then you can review the performance in Google Analytics. There are a lot of reports to review, but the two most important reports are the Source/Medium and Channels reports. Go to Acquisition > All Traffic > Source/Medium to run this report. The Source/Medium report will show you all the different Source and Medium combinations. Remember in step 3 how you defined your own Source and Medium combinations in the Campaign URL Builder? Well, now you see how this information gets reported in Google Analytics. If you set up your vanity domain Source to be “Forbes” and the Medium to be “print” then in the Source/Medium report you should see a row for “Forbes / print” that will show you all the traffic, behavior, and Goal conversion stats for that marketing campaign. Next, go to Acquisition > All Traffic > Channels. In the Channels report you’ll see all the different Traffic Mediums reported as single rows. Again, let’s use our same example, but now we’ll assume that you’re advertising in Forbes as well as Entrepreneur magazine. In the Source/Medium report you would see two rows for “Forbes / print” and “Entrepreneur / print”. But in the Channels report you would see just one row for “print” and it would be showing you the performance across ALL of your print campaigns. That’s it! Now you know how to set up and report on your offline marketing campaigns in Google Analytics. During the class, we’ll go deep on Google Analytics and beyond (phone call tracking, CRM, and more). We’ll help you get all of your tracking systems set up properly… so you can start tracking all of your marketing activities and improve your results!